For pretty much all of us, cornflakes are an ideal on-the-go breakfast option. Ideal because they are healthy. So we think. So, are they not? Agreed, they are relatively low in fat, but there is the sugar to think of. There is the added salt (sodium) to consider, too. 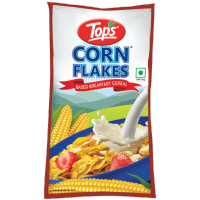 The national standards in India have spelled out various requirements for cornflakes covering quality, safety and hygiene aspects. 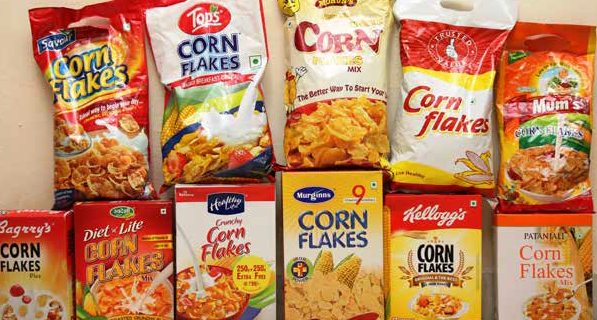 At Consumer Voice, we selected 11 widely-consumed brands of cornflakes and held them up against these non-negotiable parameters. We also checked them on the validity of their own nutritional claims. As you will read in the report produced below, some less-hyped brands have taken the top slots on various parameters, proving once again that quality is the real game changer. 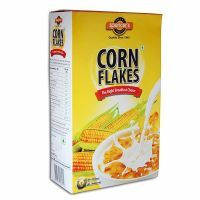 We tested 11 leading brands of cornflakes on various quality, safety and acceptability parameters that are crucial in determining whether the cornflake is safe for consumption at all. 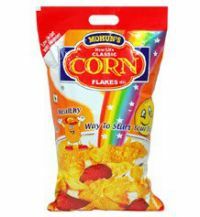 As per our standard procedure, we undertook market research to identify the popular and regular-selling brands of cornflakes across the country. 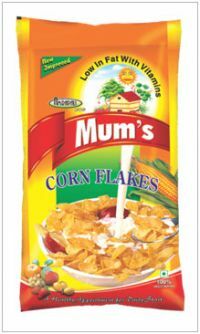 While there are many variants of cornflakes in the market (mixed fruit, strawberry, almond, organic honey and almond, etc. 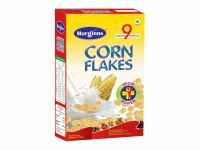 ), we selected plain cornflakes for the study. 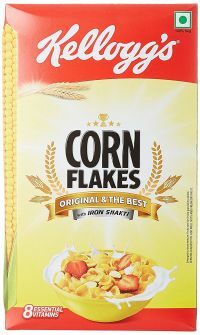 Except Kellogg’s, Savour and Mum’s, all other brands claim to be proprietary food – this means Food Safety & Standards (FSS) Regulations for cornflakes are not applicable. 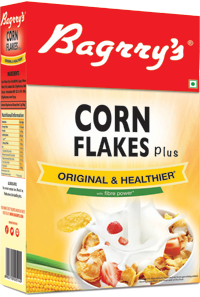 The key parameters for which these cornflakes were tested included carbohydrate, protein, vitamins, minerals and organoleptic properties. Since cornflakes are more commonly used as breakfast cereal and are expected to give instant energy to the body, we tested the brands for their energy output as well. A major health-related parameter was microbiological safety. We conducted tests for total plate count (TPC) and yeast and mould. The testing was conducted at an NABL-accredited laboratory. All the brands meet the minimum requirements specified in the national standards, making them safe for consumption. Based on the overall test findings, Diet n Lite and Murginns are the top performers. The value-for-money brand is Murginns. Savour is the top performer in the sensory panel tests, followed by Diet n Lite and Murginns. The least preferred brand is Trusted Value. Dietary fibre was highest in Diet n Lite, followed by Patanjali and Reliance; it was lowest in Bagrry’s. The highest amount of protein was found in Mum’s and the lowest in Tops. Salt content was lowest in Tops and highest in Diet n Lite. Energy value was highest in Kellogg’s, followed by Murginns, Diet n Lite and Patanjali. Tops scored lowest on this parameter. Iron content was found highest in Murginns, followed by Kellogg’s. It was relatively low in some brands – namely Diet n Lite, Patanjali, Reliance, Mohun’s and Mum’s – even though they claimed to have iron content. It may be noted that most of the cornflakes brands make claims of being iron fortified. All the tested brands were found to be within the acceptable limits for yeast and mould. Two brands, Tops and Reliance, were found with slightly higher total plate count (TPC). In some of the brands, their claim values with regard to nutritional components like sodium, carbohydrate, protein, iron and fat did not match the actual test results. What Does Ash in Food Mean? Ash refers to the inorganic material, such as minerals, present in food. It is the portion of the food or any organic material that remains after it is burned at very high temperatures. Some minerals are essential to a healthy diet (for example, calcium, phosphorus, potassium and sodium), whereas others can be toxic (lead, mercury, cadmium and aluminium). The quality of many foods depends on the concentration and type of minerals they contain, including their taste, appearance, texture and stability. You can see list of our CV Comparitive Test Cornflakes below, perform Side-by-Side comparison. If you need further help, do have a look at Conzumr Guides and Tips. Alternatively you can view all Cornflakes to choose your own favourites. TPC ranging from 55 cfu (Bagrry’s) to 636 cfu (Mohun’s). Mums Cornflakes : TPC ranging from 55 cfu (Bagrry’s) to 636 cfu (Mohun’s).